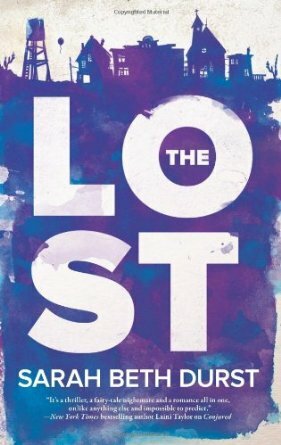 The Lost by Sarah Beth Durst is published today and you should totally go out and buy it/download it to your e-reader Right Now. I was lucky enough to get a review copy of this book and, although I’m not a proper book reviewer*, I’m very happy to shout loudly when I find something I think is brilliant. And this is brilliant. It’s wildly imaginative with a central premise – a town of lost people, filled with lost items – that is so well realised it gave me actual goosebumps as I began reading. * I will only ever recommend books on this blog, which means I will only feature/mention books I genuinely love. Karma, innit.